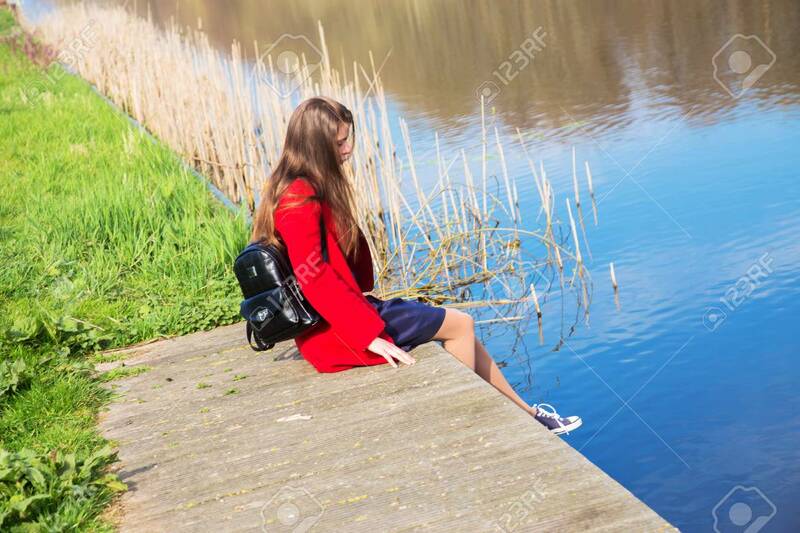 Lonely Young Teenage Girl Sitting On The River Bank. Youth, Sadness, Loneliness, Reflections Concept. A Young Cute Girl Is Resting And Dreaming. Lizenzfreie Fotos, Bilder Und Stock Fotografie. Image 99983894. Standard-Bild - Lonely young teenage girl sitting on the river bank. Youth, sadness, loneliness, reflections concept. A young cute girl is resting and dreaming. Lonely young teenage girl sitting on the river bank. Youth, sadness, loneliness, reflections concept. A young cute girl is resting and dreaming.